They came to the Philippines to say, “Your idea of the best is about to get better” – and for good reason. Blue Bell Ice Cream started scooping their delectable ice cream in Cebu last year with much success and now, to the delight of their fans, Blue Bell Ice Cream is becoming more and more available in Metro Manila and the rest of the country. 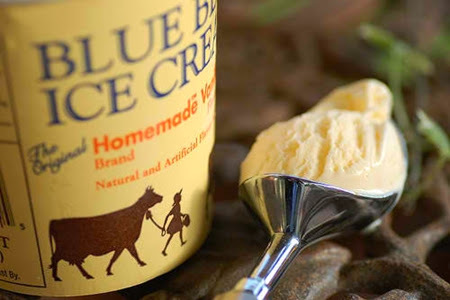 Coming from its humble beginnings all the way from Brenham, Texas, Blue Bell Ice Cream has been keeping people hooked with their ice cream by giving them the hand-cranked flavor that Blue Bell Ice Cream is famous for. Now, the ice cream brand is available in Manila and beyond, capturing the hearts of more Filipinos with every pint. Carrying flavors such as Homemade Vanilla, Butter Crunch, Chocolate Chip Cookie Dough and the original Cookies ‘n Cream in half pints, Strawberries and Homemade Vanilla, Moo-llenium Crunch, and Red Velvet Cakein whole pints, Blue Bell Ice Cream is sure to cater to your every craving – no matter how big or small. Blue Bell Ice Cream is available at South Supermarket, Landmark, Pioneer Centre and in most Robinsons, and Rustan’s Supermarkets in MetroManila. Outside of Metro Manilait is also available insupermarkets in Cebu, Nuvali, Tagaytay City, Boracay and at the Texas Creamery in Ayala Cebu. So we encourage you to upgrade your idea of the best and make it a whole lot better and discover the deliciousness that is Blue Bell Ice Cream, now more available in stores near you. This entry was posted in announcement, food press and tagged ice cream, press release on 24.April.2014 by admin.